In most families and school systems a child refusing to go to school is a crisis. This is not a situation when a child says, “I’m not going,” and the parents just agree. There is usually crying, panic, nausea and pleading. It might seem worse to send your child in this condition than giving in. At the same time there is pressure from the school system that your child attend. Truly a rock and a hard place for parent and child. In this blog I am going to discuss what to do when your child has a fear of going to school and anxiety is the problem behind the resistance. The underlying anxiety disorders typically associated with this are separation anxiety, panic disorder, social phobia and emetophobia (fear of throwing up). Less frequently OCD might be a factor. Often a child with anxiety may have more than one disorder going on at the same time. So what do you do when your child refuses to go to school? I am going to offer several steps you can take. If at all possible DO NOT let your child stay home. The hard-wired biological response to most scary things is to run or fight. Staying home is avoiding, which in this situation is the equivalent of running. Please understand this: Avoiding will give immediate relief, which in turn becomes powerfully reinforced. Reinforce simply means that something is likely to be repeated. It can be more powerful than mom and dad being mad. Once you allow this, the desire to stay home will get stronger and stronger. What everyone hopes is that a little time off will let everyone settle down and once calm returns then Mary will go back to school. I’m just telling you, that is a big gamble. That is just fine for illness, sleepless nights, and other things but almost never for anxiety disorders. 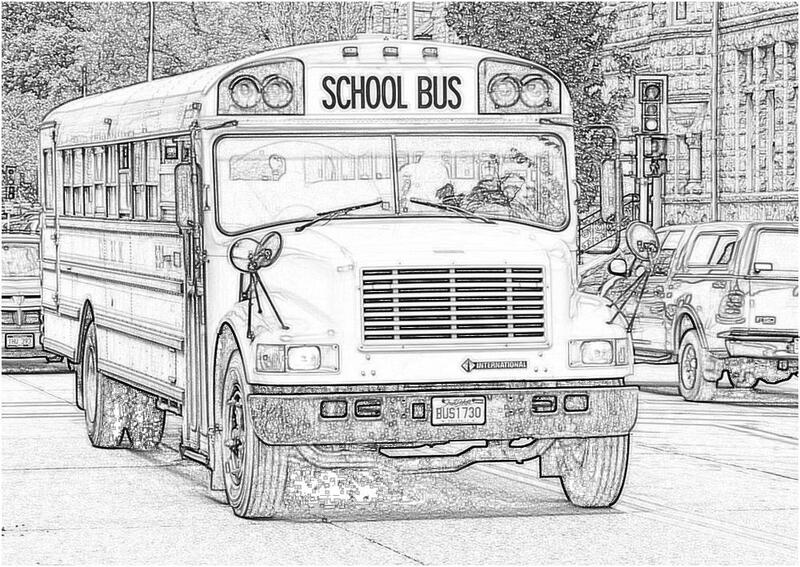 If right now it is war to get your child to school don’t mention homeschool, changing schools or some other way to escape. If you do then this will become the pot of gold at the end of the rainbow for your child. If all else fails this might be an option but please don’t go there if you haven’t already. Even a little hint will open that door. Some parents get professionals to also say this is not an option. That can cement the “No” and parents can end the argument by saying the doctor said no. If you continue to make you child go to school you need to be prepared for many tearful mornings. Many schools will work with a crying child until he or she can go into class. This is the hardest part of facing fear when the anxiety is high and it doesn’t seem to be getting any easier even after many times of facing the fear. There are a few things to consider that could extend the time it takes for it to settle down. First, try to be firm but as unemotional as possible. Anger can activate the same part of the nervous system as anxiety. Try to keep the morning as chaos free as possible. Have things prepared so the morning is less rushed. Second, try to remove any loopholes. Kids are amazing at finding these. Any subtle things like keeping the option open for not going or coming home will keep the anxiety going longer. Kids will wear you down. If there is a possibility for not going then that will keep the anxiety going. Just a side note but the first day back from the weekend or holiday will usually be worse. If you get to avoid something then facing it again is harder. This is one more example of how avoiding makes things worse. The first part of the plan is to contact the school. You need them to work with you and your child. Keep in mind that schools go from completely unsympathetic to very understanding and flexible. You may have to get pretty tough. I think most public schools will have to accommodate anyone with a disability. I am guessing this is a big hassle for schools so expect some resistance and try not to take it personally. There are lots of steps for this and you will have to find out from your school administrators. The end of the process is a 504 plan. It is part of the Americans with Disabilities Act if you want to research it. If at all possible include teachers, counselors and administrators in your plan. Steps to get back in school may involve someone coming to your home, attending part of the school day, access to a counselor or nurse, and options to contact you. That is part of the reason you need to find out what is possible at your child’s school. Next take care of yourself. Do your best to not take the blame and prepare to get simplified suggestions and advice from well meaning or judgmental observers. If you haven’t had this happen to yourself or your child it is hard to understand so many people will minimize this problem. Everyone gets to take a peak into your family and it may not be compassionate. Unfortunately, it comes with the territory. The next part of the plan is to develop a step-by-step hierarchy to get your child back in school. I am working on a “how to” for this that I will have available soon. You can view a simple example here. The general principle is to create a series of steps that get harder as you go. You do each step until the anxiety for that step has substantially decreased and then move to the next. I came across this interactive worksheet on creating a hierarchy that you might try. Depending on your child, your child’s age, the severity of the anxiety and your resources it might take several months for the process of getting your child back in school. Adjust your expectations accordingly. If possible and/or available you could consider getting a therapist to help your child face his or her fear and also work with the school to help your child overcome this anxiety. We offer a lot of help in the Turnaround program that you can use at home with your child or in conjunction with a counselor. Thank you for writing this article! Sometimes I feel really lonely and abandoned to work with my 6yo on my own. I have been told im a bad parent by some helpful mothers seeing me carry and drag my screaming son back into school after running of when the teacher or my back is turned. But I believe as you say the more he avoides it the harder it is to get him to ever go. Now we have a morning routine which is followed every day of the week (weekends get different clothes is the only difference) and I get everything prepared to head out the door in 2 seconds flat. My son is given warning that he has to get ready for school in 2 mins then I help dress him and talk about non-school related things then in the car ASAP. We have had some extra success this last week with arriving later (approved by Principle and Teacher). After the bell has gone and all kids are in their classes we arrive give a high five for making it to school a kiss and straight into the safety of his classroom. For me arriving late and everyone looking at me walk into class would make me anxious but for my son the normal school routine is hell – the Bells going off, the kids all running getting around into line, mums kissing good bye, the lining up and waiting for instructions to walk into class, causes him the anxiety. I just read your post. I know its a few years so you’re probably not on anymore but if you are I would sure love to hear how its going for you now. For the past few weeks my 6 year old sons refusal to go to school has gotten to a point that I feel like I’m going to have a heart attack by the time I get him to school. I have to physically drag him out of the house and into the car and then into the school. I am at my breaking point 🙁 I don’t know what else to do. He hates school and his teacher and will go to any lengths to get out of going to school. Please let me know there is light at the end of the tunnel. Will have to try this. I have a 6 year old and 2 other older daughter’s and getting my youngest to go to kindergarten was very hard. It took her 2 full months to go in happy. But once she did she was one of the class leaders and finished strong. Now we in the 2nd week of first grade and we are RIGHT BACK to square 1 and I feel bad because I get angry and once I’m home I feel TERRIBLE. My youngest is such a completely different kid in the morning. Like a complete 180 comes OUT happy but the bye part is HARD and sometimes she will call me from the office and say she is sick but i know she is just saying that to come home. I have her ride it out til lunch and go have lunch with her but I feel like I am damned If I do and damned if I don’t. I beat myself up for being angry but I finish with a hug n kiss n tell her I love her and she goes crying In straight to get teacher. I don’t know what to do but will keep reading these posts and try to make a new plan I’m the mornings. Thank you. I’m surprised no mention of other contextual or relational factors that could be greatly impacting a child’s ability to face school – I think it’s a trap we clinicians can easily fall into – blaming the child and finding the anxiety disorder ‘existing in the child’ (like they caught a cold that needs to be cured) without taking the time to understand the roots and causes that could be contributing to making their internal alarm spike and separating or being at school not feeling safe. A teacher shaming them, bullying, high conflict at home, a child (unconsciously) feeling in charge of protecting someone…there are too many to list. Unless the child’s context is ‘treated’ and the relationships with the people in their life factored in, the child may eventually defend against their instinct and alarm and behaviorally ‘go to school’ but I’ve been working to long in this field not to know the distress will pop up in other ways and in full force, though maybe not immediately. Thank you! My son refused to go to school and I later found out that there was a very aggressive child in his class who was attacking their teacher on a regular basis. Unfortunately, I only gave in and let my son stay home a few times. He became somewhat aggressive himself that year at school and I haven’t been able to stop the behavior. What children are exposed to in preschool years have a huge influence on them. Yes! Thank you for sharing that. I am going through this exact situation now. My 10 yr old has not been in school since the beginning of Oct. He is on home hospital through the school. We tried everything including your program but outside of physically restraining him, we could not get him to school. He has had GAD w/ OCD tendencies but it was manageable until this year . His anxiety turned into panic& the longer he was out the more social anxiety kicked in. He has been on numerous meds, multiple therapist. & psychiatrist. Now he is borderline agoraphobia and has given up all sports & forms of enjoyment to avoid a peer at all cost. Now we are being pressured to make plans for next school year and we are at a complete loss. This is the case with my 16 year old. He now threatens he will drop out at 17 years old in just 3 weeks. We are contemplating deeming him ungovernable to see if the legal system can step in to help. I just read some of your reply’s. My son is suffering from bipolar disorder and extreme anxiety. He has been to school a total of less than a month since last November. He was an honor roll student and all-star baseball player prior to this. Now he is a recluse. He stays in his room all day and doesn’t attend school. He is only 14. We are beside ourselves and don’t know how to help him. He is on med’s and sees a counselor. Nothing is working. We have so many holes in our walls from him punching them. Does anyone have any suggestions? Because he don’t have a “suicide plan”, they don’t want to put him in a hospital. We are so very distraught and don’t know what to do. We love him so much and this is affecting all of us terribly. Im going thru the same thing with my 17 years old. This is so sad. Feeling hopeless and my husband. My child hasn’t been back to school since holiday break. Going on three weeks. I’ve talk to the school, therapists, friends and family. I’ve tried many times to talk to him, he will not tell what is going on. We fight, cry etc. I’m a single mom, and very distraught over this. I’m so sorry this is happening. When a child is doing this kind of thing with such a dramatic shift in mood, there has to be a reason. I would encourage you to believe your child — whatever the reason. I would wager that something is going on or has gone on. I hate to suggest it — it’s like a parent’s worst nightmare — but horrible things like child molestation can & will affect a child for the rest of their life. I personally believe it should be looked into. Ingrid that is my 15 year old. It’s getting worse and worse. He goes to a therapy and a psychiatrist and is on meds but to no avail. He’s always in and the only friends he has are on the internet. I’m not sure what to do next. It’s so frustrating. I’m so glad I found this post. My almost 9 year old daughter suddenly developed anxiety attacks last week about school. I kept her home last Friday and took her to the pediatrician. We have an appointment with the therapist in 2 days (soonest appointment I could get). I was able to get her into school Monday with me walking her in and hanging out for a bit with a promise to come back in the afternoon. She has been a wreck since. We are starting her on medication because it is so bad. I have never heard of this and I feel so helpless for her. Stephanie – I am dealing with the same thing. My 8 year old son started getting clingy and then out of the blue started getting anxious about going to school. It built up to actual panic attacks. We will take him, sit in the hall until he feels comfortable enough to stay, but that only lasts a day or two. Every few days I am either forced to take him to work with me or find someone to watch him. My husband and I both have demanding full time jobs, so this has been so very hard for us. I have found that having someone else (i.e. gma or gpa) to actually take him to school helps. It seems to be a form of separation anxiety that is worse when I leave him. We are seeing a psychiatrist this week. His doctor also ran blood tests and determined that we need to see an a specialist for possible thyroid issues (apparently it can cause anxiety – it’s worth looking into). Talk therapy doesn’t seem to work and only makes him more anxious when he knows he has to go. One year later…we are in the same situation. Out of the blue one morning, he was not able to go to school. Same symptoms but not as severe. He cannot explain to us what is wrong. He said that something in his head will not let him go into the school. I found the “Turnaround” program and purchased it. He didn’t want to do it at first but I persevered. We are on Day 9 now – amost there! When “Krank” came onto the CD, he got physically sick and we actually had to stop it that day! He is not back in school yet but the program has helped both of us to understand his anxiety better. We figured out that his anxiety this time is being afraid of the kids at school – social anxiety. I’m pretty sure he is not being bullied. He has always been socially awkward and I think a lot of things get blown out of proportion in his mind. Once again, his teachers and the school are being very cooperative. He will probably need to listen to the program again to reinforce some of the ideas. Sorry this got lengthy! Im so sorry. I know this stress. 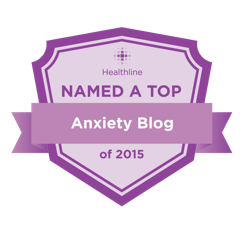 I have two boys who are ASD, and a third who is exhibiting tendencies toward anxiety disorders. If there’s one thing to remember with kids on the spectrum it’s that you never really deal with one hurdle completely. Your situation actually sounds “normal” for lots of families. You will be dealing with the same issues for years and years, even when they seem to “clear up” for a time. Just keep as calm as you can and do your best FOR HIM. With kids on the spectrum it’s not always about “curing” their disorders, but teaching them how best to deal and cope, and sometimes this means rearranging life so that it is less stressful for them. This should always be acceptable. Imagine being under stress 24/7 about something… How can you even concentrate on anything else, let alone learn to attain self control? There will be plenty of opportunity to reintroduce the difficult situations (like social gatherings, etc) in small stages. He will need to learn what works best for him in these situations. As for meds: what works for a time might not work as well during another, especially as kids are growing and their own body chemistry changes. I know it is hard, especially when the kiddos can’t articulate what they’re experiencing, but I just wanted to pass along some insight. If there’s one thing we parents (of autistic kids especially) do too much of it is STRESS OUT. Help them cope more, remove whatever stresses them out for a time, try to reintroduce those things in small doses or at a later time when he’s learned more coping skills, understand that he may never be able to integrate like an NT, but can only do so in his unique and manageable way, and keep asking him to try to explain to you what he’s experiencing. I wish you much luck in your journey. I appreciate the direct style of this blog with so many well-informed strategies. I work with a mental health start-up and linked your blog in our free clinical tool library as a good resource! I also write two blogs for our company. Hi, I have a 3year old daughter that is now going to a Montessori school and she is doing PreK3 and she cried the first 3days of school which was 3weeks ago. Well she was doing find after the 3rd until last Thursday. She just starting crying that she wanted to go with her sister (that’s is 2nd grade) same school. Some how she end up scratching that teachers aid and now she won’t stay in school. Its been 4days in a row that she crys and crys that’s she wants to go with in her sister classed and I get called around 8:30am to go pick her up because she doesn’t want to go to class. I don’t kbow what to do. I try yesterday to sit with her in class and she would not stop crying that she wanted to go to sister class. Today my husband took her to school and staied with her for two hours at school. With no crying but she wasn’t participating at first but after awhile she would but she would always turn on to see if her dad was there. If she wouldn’t see him she would start crying and trying to run out the door into the hall ways and just cry and cry. I dot know what to do. Its a all day school for her. What should I do or have any suggestions? She will be 4 in December but it looks like she is having anxiety. Sometimes is feel like the school wants me to take her out or pick her up because they don’t want to deal with her. Please help if you can, I understand that maybe she is just to young. My 9 year old started having severe anxiety towards the end of kindergarten, when he refused to go to school. It’s not related to any kind of bullying…it just generalized anxiety. We tried therapy, but eventually put him on meds. They worked very well and he went back to school. He was pretty much alright going to school in first and second grade. However, towards the end of his third grade year, he refused school once every 3 weeks or so. Physically, we could not get him there. Now, in he is in 4th grade and hasn’t been in school for the last month. We are trying therapy and everything that we can think of to try and help him, but he is now on home/hospital and we are trying to do school at home. It’s tricky, because he also is manipulative (and just doesn’t want to do what he doesn’t want to do) and it’s hard to know what is true fear and what is manipulation. We do know that his anxiety is real. I’m trying to take baby steps to get him back to school. I read back in your article that you were making a plan of how to get kids back to school once they’ve been absent. Is there such a plan? Thank you very much for your help! Wow ! I honestly dont know if I feel surprised ,but knowing that Im not the only mother with this situations gives me some kind of hope, and better understanding in my childs needs . My girl is 6years old ,and from day 1 of this school year its been hard taking her inside the school building, she will start crying,punching,screaming,shaking,trowing her self in the floor . This blog help me understand her situation ,and now I know what to do next . My child is 8 years old. When he was in 1st grade his principle would literally have to come and get him out of his bed. After we wrestled him to get dressed. It was the worst thing to go thru. Now he’s in 3 rd grade and we can’t get him to go. We started a new school but that’s not why he did the same thing at the other school. I don’t know what to do. Every Monday he will fight and after along vacation he’ll be worse. It’s bad. I’m ready to homeschool him. But I’m scared I can’t give him what he needs. He’s so smart and I was in special Ed. How can I teach him anything. I don’t know what to do. We talked to the school and referred us to a dr. Pray it works!!! Just wondering if anything worked in same situation…. Has anyone considered the schools. They have become horrible places. Lock downs, police searches, bullys and teaches who bully. Maybe it’s time we make schools a welcoming place and maybe make it voluntary. A mom struggling with a child who won’t go to school is now facing jail time. The whole system is crazy, Remove the government from our schools, allow free market to take over and we will begin to have some pretty unique schools. Not every child is the same, we all learn differently. Maybe a few years of a calm caring environment would help these children. Who says they have to be there 6 hours a day 5 days a week. It’s time we stop blaming the children and put the blame on an insane system. Thank you for your comments. I agree with everything you said. Every word. My son is 8 and says he hates school because ‘it’s a prison’. I tried to apply for school choice to the school he liked and was denied. I don’t know what to do but I have to drag him out of bed (literally) and dress him and do everything for him if I want him there. Once the bus pulls up though, he runs to get on it. I don’t know but I hate my life sometimes because I’m a single mom and have to do this by myself E V E R Y D A Y. He kicks, hits, punches, etc. me and it’s a daily routine. 🙁 They don’t make homeschool easy where I live. You have to pay a teacher to approve your lesson plan and I don’t even have enough $ to pay anyone so it’s easier for me to do the public school thing. Since my son is a high school senior, I feel I have little control in terms of his agoraphobia. Although he resisted many types of activities as he was growing up, he always went to school, and he was a good student. Last spring, however, he suddenly started skipping school and lying to me about it. His ability to participate in school and his friendships continued to deteriorate. Now, he spends 98% of his time in his room. He has seen doctors, I’ve had him taken to the Emergency Room by the coroner, he’s talked to a therapist (for two years), now he won’t go to him anymore. He takes Zoloft which seems to make him less depressed. He was prescribed Xanax, but it did not have much of an effect on him. He will only see three people: my daughter, a close friend of the family, and me. I am worried sick about him. Why can’t you homeschooled or mention it?and honestly talk about why you can or cannot accommodate that request, and what your options are, and come go a mutual understanding of why education is important four them and how you can make it enjoyable and safe feeling again? I’m sorry, but expecting a school to jump to accommodating an undiagnosed disability (kid refuses school is not in itself a disability) is the last resort. 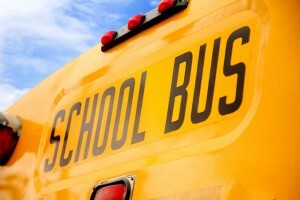 First, try plans between the school and parent to get the child to school. A 504 plan is a band-aid and most do a lot of nothing for the kid if there is not a legitimate disability behind the issue! I have a 6 Year old daughter that cries every time I take her to school. since pre- school 3 preschool 4, and kindergarten and now 1st grade. she cries non stop, in the morning it perfectly fine she’s excited for school but once its time to drop her off she cries a lot and when a teacher tries to grab her she starts to throw herself and tries to get away from them. I’m stressed I have no idea what to do to get her to go to school without crying or throwing herself. can anyone please give me any ideas on what I can do? Will be home instruction for a few weeks. Sadly, I have become pessimistic based on all we went through last year. I feel that if that psychiatrist would not have pulled him out of school so easily, my son would not be in this hole right now. Just as the article says, he now sees a way out and has a doctor to back him up. Please, don’t make this same mistake. My son refuses to go to school sometimes, but it seems to be getting worse, when he stays home all he does is watch YouTube videos, I told my wife that we should take away the iPad for a couple of days if he doesn’t go to school, but my wife tells me that we shouldn’t punish him, any advice on taking away privileges? To me it makes sense to do this then he will get bored at home with nothing to do and hopefully he would want to go back to school. My son also watches YouTube all day and doesn’t want to go to school. I still make him, though. I threaten to take away his gamepad if he doesn’t get dressed (not that it works all the time though). 🙁 Good luck! To all you parents out there. I was that kid who refused to go to school. I would scream at the top of my lungs and kick till I got my way. OR I’d make my mom stay with me in my class and if she left it would be hell to pay. This went on for two months or more. It wan’t until the principal took me to his office and said. Do you know what happened to the last kid that did this. He pulled out a big paddle and slammed it down on his desk and he said. This! Then he said do you know why this paddle has holes in it; and I said no. He slammed it again really loud and said because it hits butts harder. He said do you think you are going to make it to class tomorrow, …and I said oh yes no problem I can go to class, I don’t want to be like the last kid. I did make it to class the next day …and everyday after that. Thank goodness. I’m forever thankful to that principal. I completely disagree where you say it is bad to talk about a different schooling option with your child. My 9 year old son has been so stressed with bullying, a hard teacher, and 17 pages of homework per week she pressures him to complete in 3rd grade. My once bubbly, sweet, and happy boy’s personality was completely changing him. I was watching the light go out of his eyes. He has been having severe anxiety and refusing to go to school. Though we’ve been able to push him to go most days. The school principal refused to let me discuss the bullying issues with him or the teacher and wanted him to take care of it himself. So, as parents we decided to discuss with him some different schooling options where we could be more involved. We decided on a charter school where he is home schooled part time with enrichment classes. It is a pot of gold after a long dark tunnel for him, but he needs that to get through. There really is no wrong way to parent and nothing wrong about giving your hopeless child hope for change. I just had a very hard school drop-off with my 5 year old son. He woke up in a very quiet, yet defiant mood this morning. He refused to eat breakfast and tell me what was bothering him. He was very moody and only wanted to lay down on the couch. Brushing his teeth, that was battle. Getting him in the car, another battle. I drop him off at a Rec center on the school campus and they bring him to his class an hour later. In the car I could barely get any information out of him but it sounds like he’s having a social problem with a 1st grader. As I was signing him in, I explained to them that “he has had a rough morning and didn’t eat breakfast”. He had a mad look on his face….just glaring and then looking down. When we put his bag down, he suddenly latched on to me and didn’t want me to go. I told him that I needed to leave but I would be back after school to pick him up. There is a Rec leader there named Gabe who has had heart to heart talks with him in the past who came over and offered to talk and hang out with him. As I walked out the door he was breaking down crying. Yesterday when I picked my son up from after school care, I found my son hiding between a sink and a cabinet, huddling and on the verge of tears because another kid said a “bad word” to him. I don’t know what to do, he’s a very sensitive child. He’s having some learning difficulties and dealing with a teacher who is losing her patience with him. I can tell by the tone and wording of her letters home to us that she is tired of his behavior. She acts confused and adds a lot of question marks to the end of her sentences like, ” I asked him to get his snack out and he told me he didn’t have one when he did?? ?” Little notes like that are making their way into his progress reports. I don’t know what to do for him, I’m so lost. I feel guilty for making him go to school but I know he needs to go. He’s only 5, he’s too young to be feeling so much anxiety. I worry that if Kindergarten is this rough for him, then Jr High is going to terrible. Help! I agree with some of the things you touched on in the article but I disagree with making your child go. My 11yr old daughter had a complete meltdown. I was physically trying to remove her from the car. She was having trouble breathing, vomiting and crying. Did it end with her in school no. So please don’t say to make the child go to school. In my case it didn’t work. I’m now in the process of getting her some help. Until I deal with what’s going on with her mental state I will have a lot more mornings like this. I am reading this and have become light headed, dizzy, tight chested and very sad. This was me going to primary school over fifty years ago. I was an extremely shy child who didn’t want to leave Mum, my safe home and be with strangers for hours on end who, unlike me, knew how to communicate with one another. I didn’t know anyone in my class or school. I frantically told Mum every morning that I didn’t want to go to school, said I was going to be sick but Mum still took me. It must have been heart breaking for her. Making friends was, and still is, difficult for me at times. Back in the early sixties, people where we lived didn’t send their children to psychologists; so my problem was never resolved. Finally making friends at school made a huge difference but they had to approach me as I was far too shy to make the first move. Therefore some of my friends were not the nicest but I stayed with them and was bullied. I look at the past fifty odd years and see so many similarities to what I was as a shy, scared child. If I’d had a child in that situation, I would’ve somehow befriended the other mothers and their children before my children began school so he/she already had friends in the class/school. This would’ve made such a big difference in my life.